Cast: Tom Cruise, Cobie Smulders, Danika Yarosh. Lee Child’s Reacher novels do great business and even enjoy success in their fans re reading them over and over. The casting of shorty Tom Cruise playing the six foot odd tall behemoth didn’t effect my enjoyment at all since Cruise manages to play Ethan Hunt in Mission Impossible really well without anyone called him tiny. 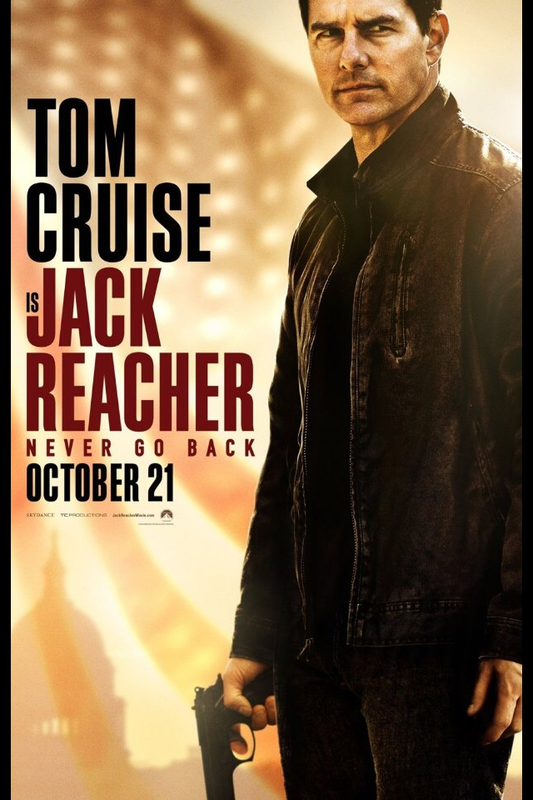 Jack Reacher is slightly different to Hunt in that he is much more willing to keep his mental calculations of a situation low key. We see Reacher surrounded by thugs in an alley and he’s already predicted how the fight is likely to play out. This is similar to Sherlocks mind games but here it’s sepia toned so we understand his thoughts first rather than deeds. Reacher is pulled back into his past military band of brothers as a female major is suddenly thrown in jail and he smells a rat. Plus he has the additional headache of a teenage girl whose mother is claiming he is the father. This felt much closer to the book version as it showed more psychological mechanics than fisty cuffs , although bones do get broken along the way even after the owners are given an option to change their mind on attacking. I enjoyed this movie along with the first one and I liked the additional look into his mind and his emotions once the teenager appears. Action wise we have an assassin type of bad guy who is paid to silence Jack but naturally that is no easy scheme and one which results in a fight. I’ll happily watch a bunch of other sequels as long as Cruise is up for it. Cast: Benedict Cumberbatch, Chieetel Ejiofor, Rachel McAdams, Mads Mikkelson, Tilda Swinton. The fact that Avengers Assemble worked at all was a miracle. To balance so many characters and effects with one of them being a CGI character known as The Hulk seamlessly with the other humans is just a feat of staggering proportions. Then ramping things up with Captain America The Winter Soldier through to Ant-Man, which I didn’t appreciate until third or forth viewing which led to Civil War and on it goes as I’m amazed anew. Can things get better or have we reached a summit? 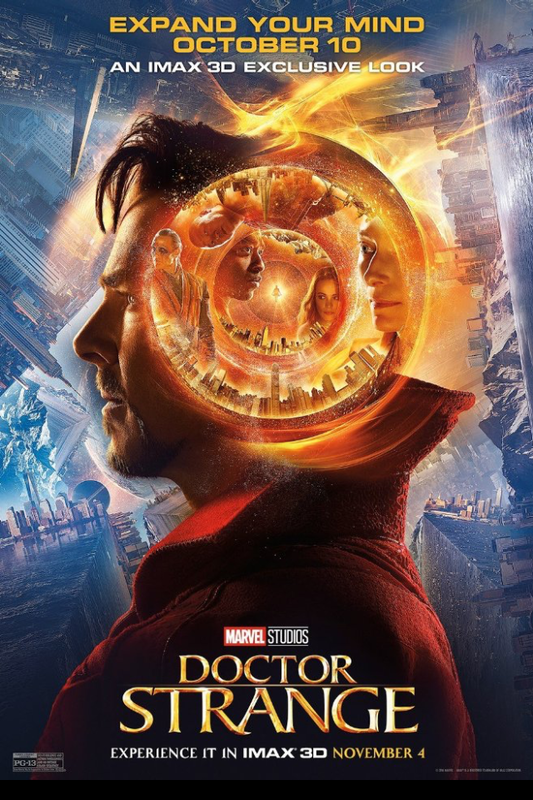 Enter Benedict Cumberbatch as big headed egotist neuroscientist Stephen Strange. Doctor Tony Stark if you will but deserving of his self belief. As origins go it’s a bit different to the merely having powers bestowed upon you. These powers are going to have to be learnt and earned. The Ancient One is played by Tilda Swinton who is fine because of her otherworldly looks but plays it pretty darn straight if you ask me, smug in her world weariness over years of time having passed. It’s no spoiler to say that this movie is about magic for the most part as Strange embraces new spells in beautifully visualised ways. That is where the movie plays its ace. The effects and designs are incredible as they take INCEPTION’s images and run with them. I found it breathtaking as its throws in 2001’s star bridge and mixes a kaleidoscope of Esher like visuals until the images represent things your tiny brain can’t fathom. It’s weaknesses are the standard movie complaints such as the female characters just being accessories for the males -Rachel McAdams and the villains who are in turn played by Mads Mikkelson as fallen sorcerer who is just ‘man in a bad mood’ and then the Big Bad ???? – who I won’t name, but who’s design just evokes all recent looming Marvel overlords with a deep voice. But I absolutely thought it was amazing. I’ve enjoyed director Scott Derrickson’s horror writings such as Sinister, Exorcism Of Emily Rose and even Deliver Is From Evil although this is worlds apart from those. I was quite shocked at how brilliant I thought it was. For me, this is a new high and I’m excited about where this will lead. The post credit scene did nothing to heighten that anticipation. I just thought ‘whatever’. So this gets a double thumbs up on all fronts and can’t wait to see it again. Cast: Matthew McConaughey, Gugu Mbatha-Raw, Mahershala Ali, Keri Russell. 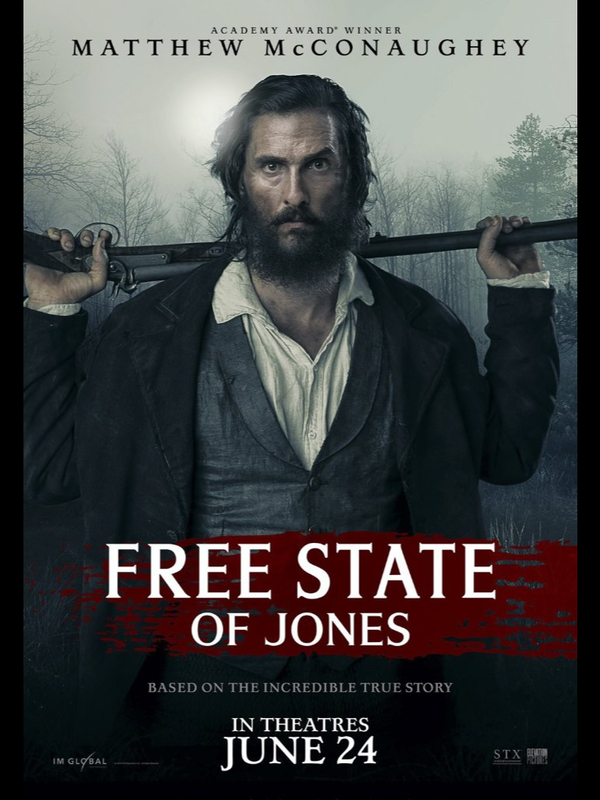 Matthew McConaughey plays a deserter from a Confederate army who leads an uprising with a small but growing group of townsfolk. McConaughey jumps into this role utterly as he seems to do every role recently. You can see the urgency in his eyes as he dodges bullets and picks bodies off the battle field in an opening like Saving Private Ryan’s. Whilst this movie is very good it’s in the shadow of The Revenant which I felt was better still. The brutality of such old fashioned weaponry is portrayed effectively and and packs a literal punch. I felt there were pauses in parts as the story slowed and my mind wandered but McConaughey himself never misses a beat and there are other faces you may or not place who help flesh out the story to its close. A good effort but nit the best of this kind of thing currently. I enjoy almost any documentary movie that I watch to be honest even if I not totally into the subject matter. Black Fish had a large impact on me and I’m in no way an animal lover. I’d rather people just left them alone. 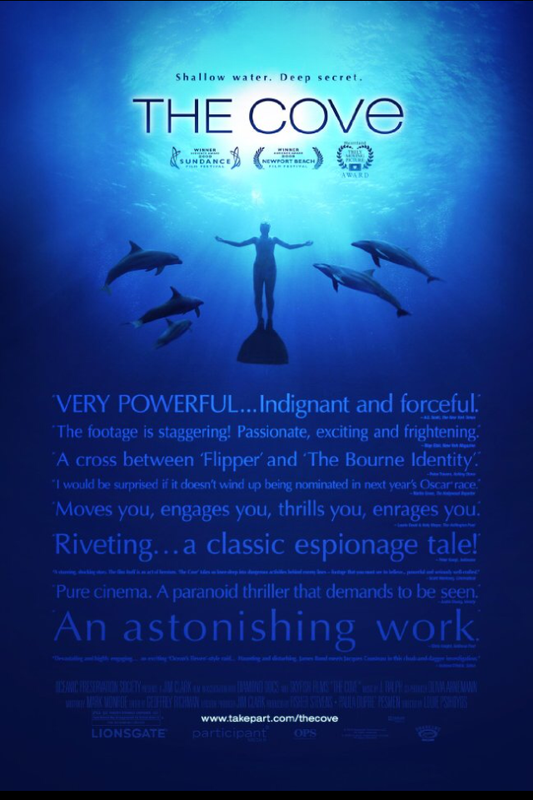 The Cove is a gripping insight into a place we were not meant to see. The subject is dolphin slaughter in a cove of Japan. The Japanese government try to make out nothing is going on against sea life but the team of activists are desperate to record what REALLY goes on in this out of sight nook. When you see the images caught it’s a sight which is going to stay in your vision long after the film has ended. It packs a real punch especially as it follows the trainer of FLIPPER of all dolphins who in a change of heart is trying to release the animals rather than train them. Cast: Eva Green, Asa Butterfield, Elle Purnell, Samuel L Jackson, Judi Dench, Terence Stamp, Rupert Everett, Chris O’Dowd. 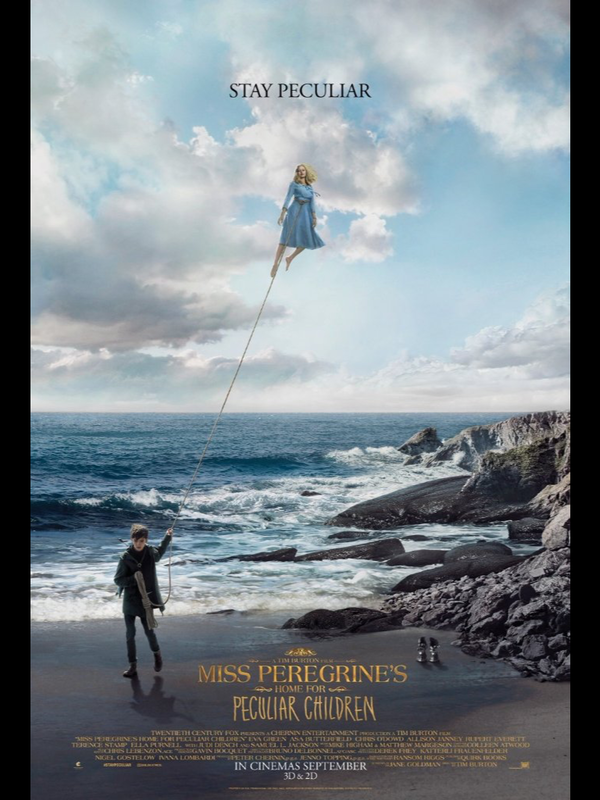 A group of special powered children stay hidden in a time loop in a Welsh village and Jacob (Asa Butterfield) follows the trail to meet them after believing his grandfathers bedtime stories are maybe true. Tim Burtons finger prints are light enough to allow the books material to shine for itself. A great supporting cast surround the children and make this movie something special but maybe not as X-men like as I expected. I really really enjoyed this film. Eva Green, Samuel L Jackson, Judi Dench, Rupert Everett, Chris O’Dowd and Terence Stamp show that it’s something worth their time in a mix of the magical hidden in the mundane. This could’ve been Pans Labyrinth in different hands yet I was left with more questions than answers where some characters were concerned which makes me want a sequel. It’s actually quite scary in places due to the eyeball eating Hollowghasts and the odd swear thrown in but that puts it alongside the Harry Potter series. Having read the book which includes intermittent photos from Jacob’s grandfather, I felt the film merged that aspect well as it also uses photo images to entice the boy into a world of wonder.